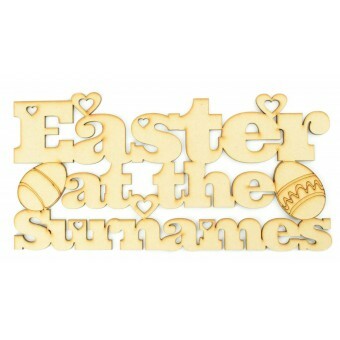 Personalise your own family Easter Sign with a surname of your choice. 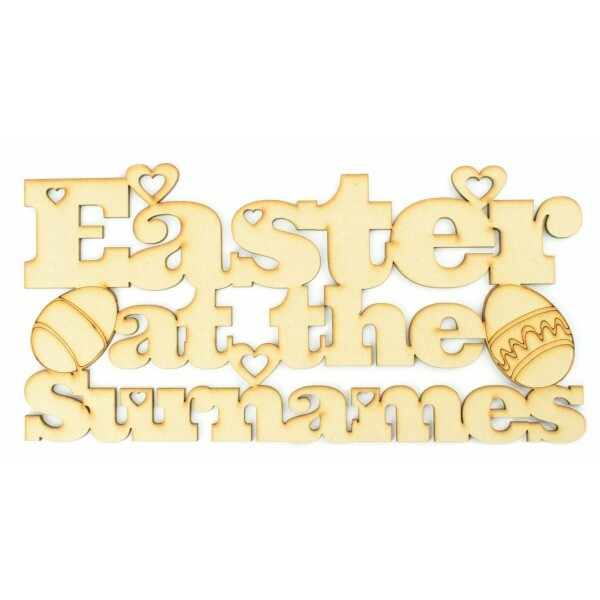 Simple bold font with little love hearts cut out of the lettering, an etched easter egg on each side of the sign which finishes the sign perfectly. Love hearts with cut out centers scattered around the sign for a little extra detail. The two at the top can be used to thread ribbon or twine through to hang the sign. A simple design which you can decorate however you like. Height varies depending on the surname.